Got a new hard drive, so I am reinstalling M-Powered 8 from disc, and then I have a crossgrade I will use to update. 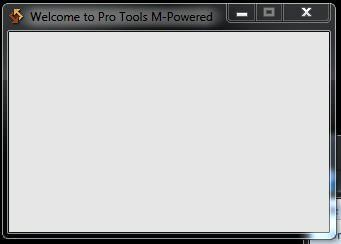 When I run setup from the M-Powered 8 disc the install pop-up appears, but the contents of the pop-up menu don't render. I can't do anything in the pop-up window and can't continue with the install. Any ideas on a work around? I'm running Windows 7 Pro, Service Pack 1. Thanks!